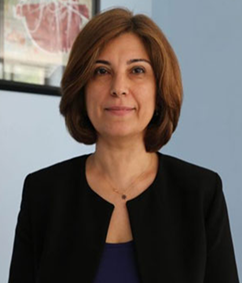 Professor Dr Sevtap Yokuş is a Professor of Law at the University of Kemerburgaz, Istanbul, Turkey. She holds a PhD in Public Law from the Faculty of Law, Istanbul University, awarded in 1995 for her thesis which assessed the state of emergency regime in Turkey with reference to the European Convention on Human Rights. She is a widely published expert in the areas of Constitutional Law and Human Rights and has multiple years’ experience of working as a university lecturer at undergraduate, postgraduate and doctoral level. She also has experience of working as a lawyer in the European Court of Human Rights. Since 2009 she has been contributing to the ongoing work to prepare a new constitution in Turkey.